I re-launched scottishbagpipers.com in 2017 following discussions with several of my bagpiper friends. Each of us had far too many stories of witnessing unmusical and poorly attired bagpipers playing at public engagements at great expense. Something had to be done, so I dusted off the web development skills (and learnt a whole lot of new ones in the process) to re-launch the site. I will only provide highly competent and immaculately dressed bagpipers whom I know personally and have performed with on numerous occasions. scottishbagpipers.com was originally launched in 1998. Prior to taking up full time employment in IT I performed for many events all over Scotland and further afield such as Taiwan, South Korea, Angola, China, Australia and throughout Europe. For six months I played bagpipes in South Korea to promote Mackies Ice Cream. I originally moved to Edinburgh in 1996 to go to university and I gained a degree in Business and Information Technology. I come from the town of Kingussie in the Highlands, where I was initially taught the bagpipes by my History teacher, David Taylor. I then received lessons from Pipe Majors of the Queens Own Highlanders, PM Nick Gordon and PM Niall Matheson; Pipe Major Duncan MacDonald of the Queens Own Cameron Highlanders and the famous Benbecula piper, Willie Macdonald of the Highland Light Infantry and the Queens Own Cameron Highlanders. I played in the distinguished Vale of Atholl Pipe Band starting in the Novice band and progressing to the Grade 1 band. When living in New Zealand I played in the Grade 1 Manawatu Scottish Society Pipe Band, and gained several top 10 finishes in the finals of the Grade 1 World Pipe Band Championships. 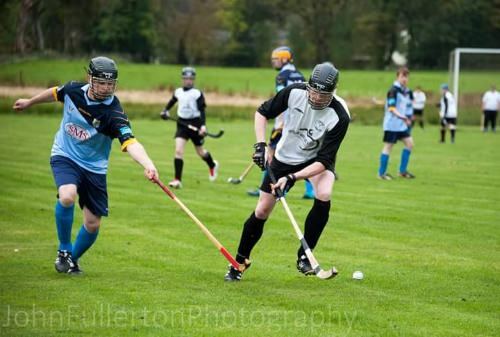 I took a three year break from pipe bands to take up Shinty, which I played in school. Sadly my hamstrings began to to object, so from 2018 I returned to pipe band world and joined the Police Scotland Fife Pipe Band, who are at the very top end of the pipe band world, having achieved 5th place in Grade 1 at the 2018 World Pipe Band Championships.